In the past few months, Kansas City has landed on the boutique hotel map with major openings that are getting a lot of attention. 21c Hotels, from Louisville, KY opened their eighth museum hotel at the former Savoy Hotel at 9th and Central, featuring a world-renowned collection of art from the 21st century and the meticulous restoration of the KC classic restaurant, the Savoy. Hotel Indigo, a boutique brand of the international IHG hotel group, opened its second location across from the Western Auto building, just north of Crown Center. 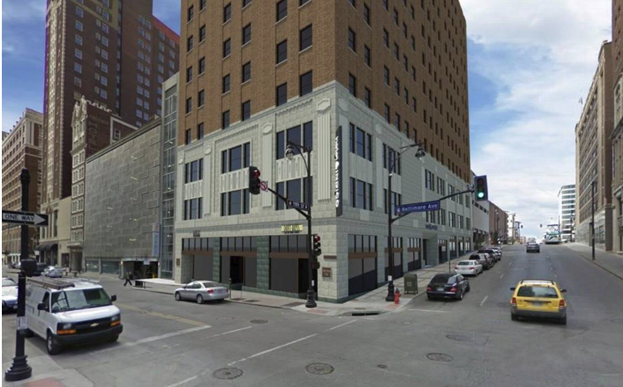 Its first location in KC shares the same downtown block with Hotel Phillips on 11th street. The Crossroads Hotel, at 21st and Central, occupies the former Pabst Brewery and has impressed guests with its wide-open bar and lounge atmosphere, not to mention a pizza oven that has become an instant hit. The Ambassador is currently adding an additional 70 rooms to its original hotel. With ingenious help from KC construction firm, Centric, the hotel was able to add an extra floor of rooms without increasing the overall building envelope. As an economic driver, boutique hotels offer a glimpse into a larger trend that bodes well for our city. Not just because we are adding new hotel rooms, but also because in the very real fight for retaining millennials and the elusive “hipster,” younger demographics are looking for new places downtown to eat, drink and socialize. “Of all the rooms under construction now, about a quarter are in boutique hotels, according to data from Tourism Economics, a company that forecasts travel trends. In Kansas City, where millennials and long-time residents alike share a desire to spend time in revitalized areas and restored classic buildings, these new boutique hotels add a vibrancy and 18-hour lifestyle that drives economic vitality.